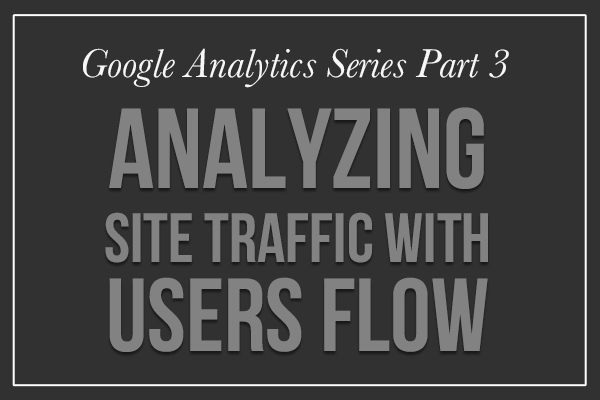 In continuing our four part series about Google Analytics, we’ll be helping you understand how to view and understand the importance of referrals to your site for those who are maybe a little unfamiliar with the program. 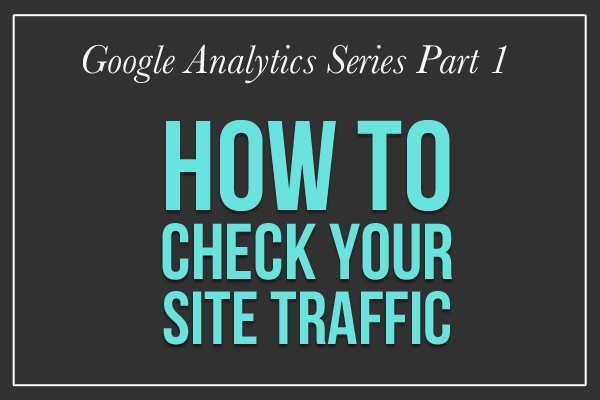 This blog series will assume that your business has already set up Google Analytics for your website. If you haven’t already, you will need to complete the set-up process in order to view your referrals. The referrals to your site are simply the websites that have links to your website that have actually been clicked on. It won’t tell you which sites have links that haven’t been used, but it will show how many times the links that ARE being used have been clicked on. 1 | It shows which websites are placing a link to your site in prominent places. 2 | It could also indicate which sites have visitors that seem interested in your site, giving you a better idea of who to reach out to for more referral links. Noticing which sites have placed your link in a place that receives a lot of traffic can help you better gauge where to place links on your own site and where to request links back to your site be placed on other sites. This holds true for social media; while you can’t always see which post is delivering the referrals back to your website, you can see which of your social media platforms is getting the most engagement. If you run a floral shop and you notice that the majority of your site traffic referrals are getting sent from an online bridal magazine, you can adjust the type of websites you’re connecting with and reaching out to and focus more on wedding industry businesses, rather than funeral homes and other industries that utilize floral shops. 1 | Sign in to your Google Analytics account. 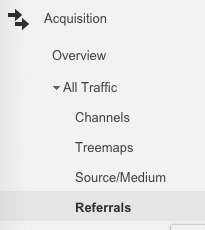 2 | From the left-hand sidebar, choose Acquisition > All Traffic > Referrals. 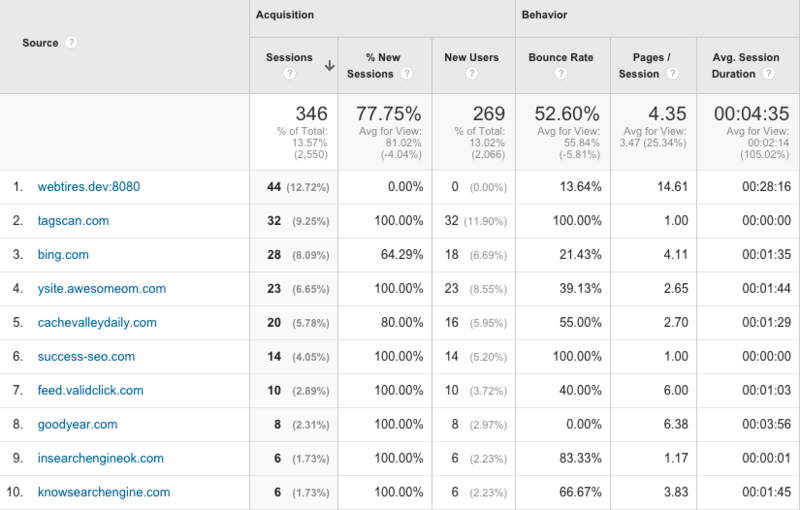 3 | The Line Chart at the top shows the number of sessions on your site over a period of time. Below that is a table that shows the top referral sources ranked by number of sessions referred. 4 | You can see from this chart that some referral sites produce a 100% Bounce Rate (meaning that people visiting your site from that link leave immediately after arriving and don’t visit other pages) while others (like the 8 referrals from goodyear.com) all stayed on the site and visited an average of 6.38 pages for an average duration of 3 minutes and 56 seconds. That’s a referral source that you’ll want to capitalize on! Check your Google Analytics Referrals now and make a list of the sites in your top ten referral sources that produce low bounce rates and high pages/session and average session durations. Try to think of other sites or business like those on your list that you might also be able to list your business on in the hopes of getting more relevant and applicable referrals. Likewise, see if there are any sites at the bottom of your list of referral sources that you think should be bringing in more traffic. The links on this site might be hidden at the bottom of the page or in a long body of text. See if you can make them more prominent! What did you think of this tutorial? 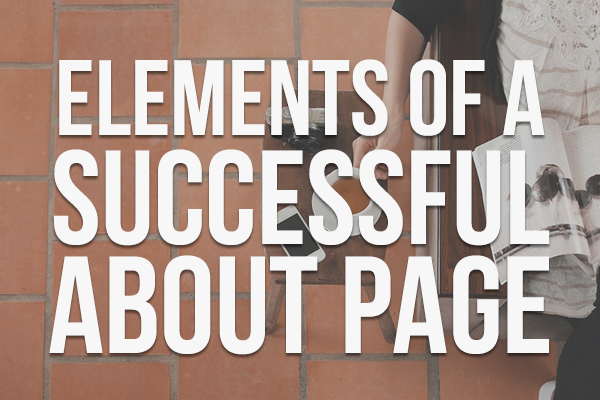 What things have you learned about your business as a result of checking your site referrals?